PA Unified Judicial System is the court system provided for by the PA State Constitution. PA Unified Judicial System research papers look at the five levels of the judicial System in the state of Pennsylvania. Based in Pennsylvania, Paper Masters can help you write about the judicial system in the state. The PA Unified Judicial System is the court system provided for by the PA State Constitution. It has five levels of courts, structured in a pyramidal style. The first or entry courts are the Municipal, Traffic, and Magistrate courts divided between Philadelphia and Pittsburgh. These courts hear non-jury criminal cases, and civil and traffic cases. The second mid-level are the Common Pleas Courts with 60 judicial districts across the state, which hears all major civil and criminal cases and all matters concerning children and families. The intermediate level contains two courts, the Superior Court, which is a general court of appeals having 15 judges, where civil and criminal appeals are heard, and the Commonwealth Court, which is a special court having nine judges, where appeals from decisions concerning state agencies and civil cases brought by the state or against the state are heard. The fifth and highest is the PA Supreme Court which has seven judges and administers the court system, hears a lower court case at its discretion, hears appeals in death penalties, and may choose to hear appeals that come from the Superior and Commonwealth Courts. The PA court system began in the 1600s when local non-lawyers appointed by the governor meted out justice. 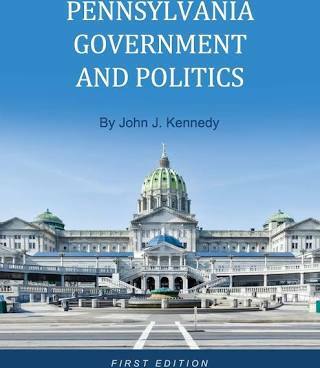 It changed over the years through judicial acts and prior PA constitutions and finally became the present unified system in 1968 when it was reorganized and minor courts were made to hear cases, thus reducing the workload of the Superior and Supreme Courts. Judiciary Branch of Government Research Papers - Judiciary Branch of Government term papers examine the branch of government that is responsible for explaining and applying the law. U.S. Federal Government research papers examine the three branches of government as outlined by the Constitution: the Executive, the Legislative and the Judiciary. US Court of Appeals Research Papers - US Court of Appeals research papers look into the system of 13 courts, divided geographically across the U.S.
Executive Branch of Government research papers - Executive Branch of Government term papers examine the branch of government that is responsible for the daily administration of the nation. Department of Justice Research Writing - Department of Justice research writing on the cabinet-level part of the United States executive branch, headed by the Attorney General. VA Judicial System research papers discuss why the judicial system of Virginia was put in place. Order a research paper on the Judicial system from Paper Masters. Paper Masters writes custom research papers on PA Unified Judicial System and examines the five levels of courts in the system.